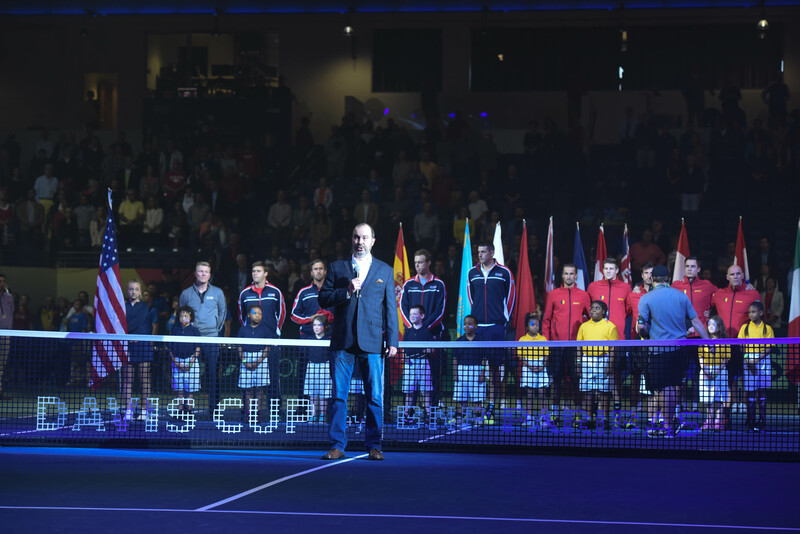 Mark Whatley, associate professor of music and coordinator of vocal studies, performed the Belgian National Anthem last weekend during all three days of the Davis Cup. Hosted in Belmont University’s Curb Event Center, Whatley took the floor before the games began on Friday, Saturday and Sunday. Given less than two weeks to learn the song, Whatley was asked to sing the piece in two languages–Dutch and French. Immediately interested (but admittedly a bit nervous), Whatley said he had never heard the song before receiving the invitation and doesn’t speak either language. Though he’s comfortable singing in French from many other performances, prior to learning the anthem, he had never even heard Dutch spoken before.